There are three Best in World titles in the Open Level. They are awarded in these three divisions: Decorative Lifesize, Decorative Miniature, and Natural Finish. The fourth open level division (Freestyle) is considered a demonstration division at this time and not eligible for World Champion status. Fish carving judging begins at 11:00 a.m., Thursday, May 2. 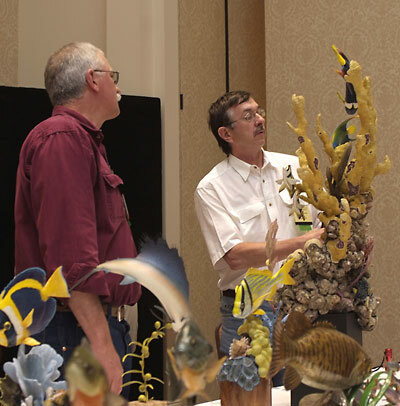 Fish carving critiques will be available to registered carving competitors from 9:00 a.m. to 12:00 p.m. Friday, May 3.